WHERE: West End Ave, just outside the Ray Charles Performing Arts Center. Just look for the mobile sports bar! IT’S THAT TIME AGAIN!!! 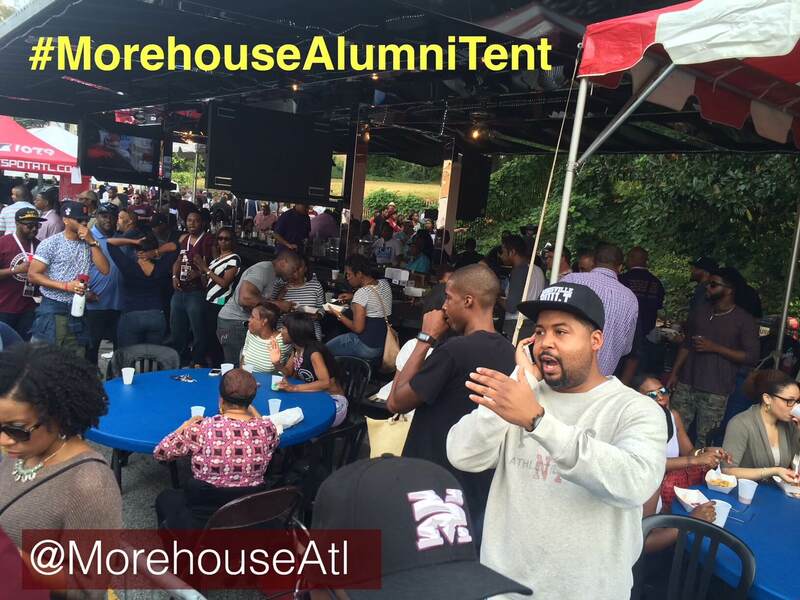 The Morehouse Atlanta Metro Alumni Chapter returns with the LARGEST tent at Homecoming Tailgate. This year, we’ve teamed up with the National Alumni Association to do it even bigger! OUR TENT IS OPEN TO ALL (alums, friends, family, etc.) … admission is only $35 and covers all you can eat and drink all day long. Click here to purchase tickets to the Homecoming Tailgate Experience. • Upscale hospitality tent and mobile sports bar. • Live DJ with all the music YOU want to hear. • Flat screens with football games airing. • Free t-shirts and give-aways (while supplies last). • Great crowd…great hang out…great ALUMNI ENGAGEMENT.